The most dedicated Fortnite Battle Royale players will soon be given a unique reward, following the release of the week 7 challenges. The Fortnite Blockbuster skin will be made available to all players who have completed every challenge up until this point. It’s the ultimate bragging rights for those players who have been trying their best to complete the Season 4 Battle Pass. For those that don’t know, the Blockbuster challenges are released weekly and can only be unlocked after you complete all seven tasks that have been set by Epic Games. After completing all the weekly challenges, a new loading screen pops up, and provides a clue to grabbing an extra Battle Star. And on top of earning a new Battle tier, players can also get the Fortnite Blockbuster skin, if they complete all of them. 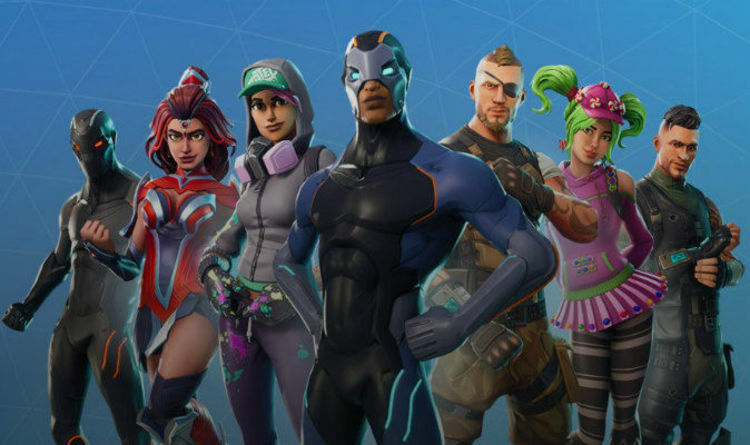 It should also be noted that the premium Battle Pass is retroactive for a Season. This means that if a player has already reached Battle Pass Tier 10 before purchasing the full Battle Pass with V-Bucks, they will immediately gain access to Premium items associated with Battle Pass Tiers 1-10. An early leak has provided more details on the new skin, which looks set to go live from tomorrow, June 14. The leak came after the game was updated earlier this week, providing dataminers with their first chance at searching for the new reward. And it appears that they found it, with images appearing online of the new unique outfit. The Week 7 loading screen appears to feature the new Blockbuster skin, which also has its own name. The Visitor skins looks to the new Blockbuster reward, and appears to be some kind of extra terrestrial android. It could also just be a very cool helmet, so fans will have to wait until this new outfit goes live in the future. Epic Games themselves have not confirmed its existence, so this will remain unconfirmed until later this week. Even then, the development team might not give an official announcement on it, until nearer the end of Season 4. And the Blockbuster skin wasn’t the only big leak this week, with dataminers also finding the latest cosmetic items being queued for launch. They have discovered new cosmetics that will be coming to Fortnite soon, including World Cup themed Fortnite skins. These Fortnite skins will be perfect for the week 7 challenges, with one of the leaked Battle Pass tasks having a distinct football theme. In total there are four different Fortnite World Cup skins for male and female characters. There are also football themed emotes. These are ‘soccer juggling’ and ‘red card’. Other new Fortnite emotes are ‘pop lock’, ’T-Rex’ and ‘cry’.